The Banova line includes Banova® Print, Banova® Plus and Banova® Superflex. Each Banova product combines the lightweight, rigid and renewable properties of Banova – a balsa wood sheet made of adhesively bonded balsa veneers. Banova substrates are produced from Forest Steward (FSC)-certified balsa wood and are manufactured with formaldehyde-free bonding. Banova Print combines the lightweight, rigid and renewable properties of Banova with laminated facers featuring 3A Composites’ new PRO surface treatment specifically designed for enhanced direct printing. Banova Print’s bright white facers offer excellent ink adhesion. And, as a high-quality homogenous balsa wood sheet, Banova Print may be processed easily with existing woodworking tools and joining techniques. Banova Print is extremely lightweight-yet-strong, allowing for the fabrication of large design elements while offering simpler handling and easy installation over conventional wood panels. Banova Print offers exceptional weight-specific stability. Banova Print is perfect for creating long-term point-of-purchase displays, exhibits, kiosks and interior signage. Banova Print is available in the 12mm thickness with bright white facers in 48-inch by 96-inch sheets. Banova Plus, the world’s lightest plywood, is extremely versatile because it can be utilized with various face laminates to enhance the properties of displays, furniture and walls with a 50 percent to 70 percent reduction in weight over conventional plywood. Banova Plus offers a uniform surface and outstanding flatness. Banova Plus is perfect for creating long-term point-of-purchase and point-of-sale displays, exhibits, kiosks and interior signage as well as medium-term exterior signage. Banova Plus also can be utilized in long-term framing applications. Banova is produced with natural balsa plywood and a high-grade veneer surface in 48.75-inch by 96.75-inch sheets in seven thicknesses ranging from 9mm to 40mm. Banova Superflex offers unlimited bending and shaping opportunities through its tight bending radius, maximum strength and extreme light weight. The combination of a textile core layer and highly flexible wood veneers enables Banova Superflex to create permanently bonded formed components. A radius of 40mm is easy to produce with top surface quality. 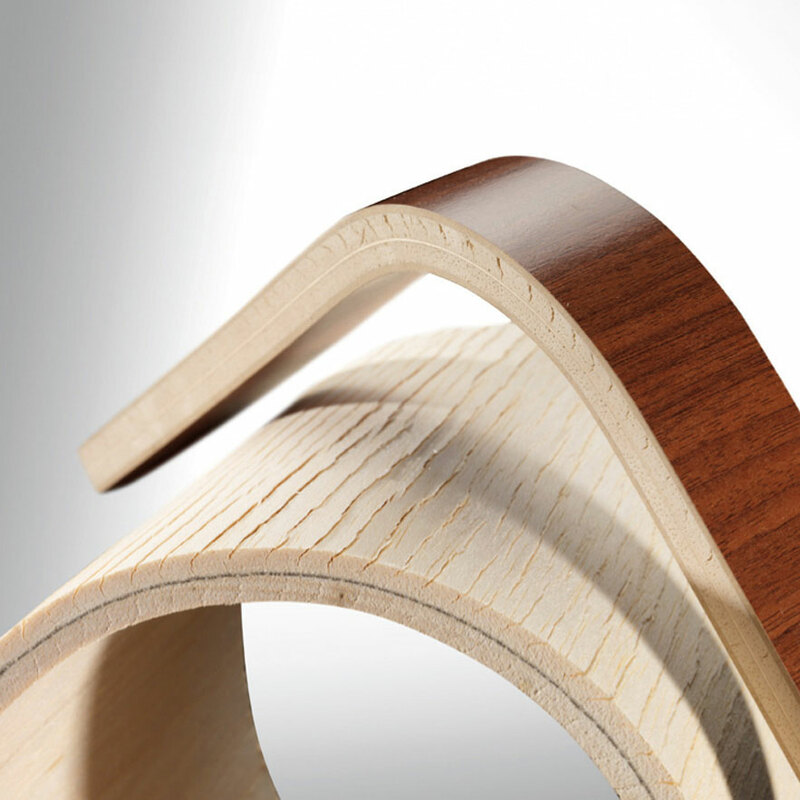 Banova Superflex produces an excellent finish on both sides when formed into an “S” shape. Banova Superflex is perfect for creating shaped components in long-term displays, exhibits, kiosks and interior signage. Banova Superflex is available in the 10mm thickness in 48-inch by 96-inch sheets and 96-inch by 48-inch sheets depending on the directional curve to be formed. Banova substrates are sustainably produced by 3A Composites Core Materials business unit. As the world’s largest producer of balsa wood, 3A Composites owns and cultivates several thousand acres of FSC-certified balsa plantations in Ecuador and in Papua New Guinea.